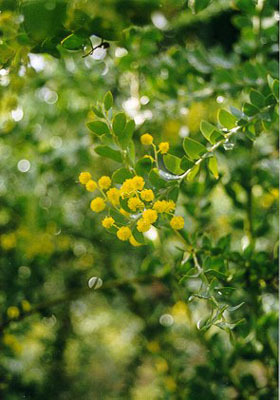 An ornamental medium to tall shrub with grey triangular leathery leaves (phyllodes) and bright yellow flowers in spring. Full sun or partial shade position. 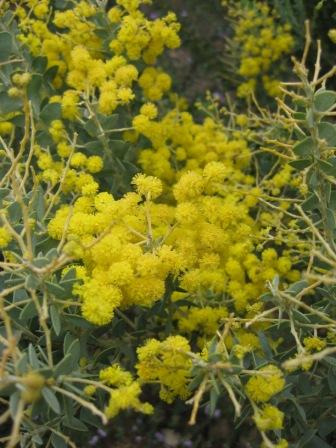 Hardy plant for well-drained soils and extended dry periods. Fast growing. Suitable for coastal and inland areas and temperatures in teens. 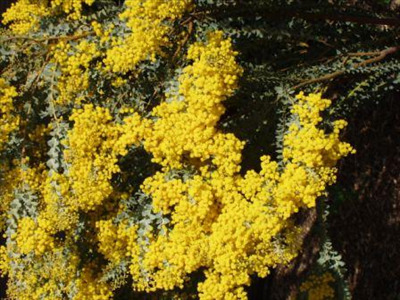 Grows naturally in NSW & Queensland. Great screen, hedge and cut flower.